The dark forest of Athel Loren, home of the wood elves, is a place of mystery and danger, a place no mortal man dares enter. Leofric, a noble knight of Bretonnia, has been raised since birth to shun and fear the forest and its enigmatic denizens. But a beastman plot to corrupt the sacred places of Athel Loren throws Leofric into an uneasy alliance with the wood elf Kyarno as they battle the invasion. 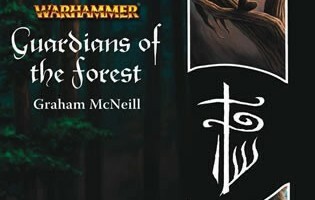 If the beastmen succeed, not only will the elves and their forest home be corrupted forever, but the destructive spirits of the forest will be unleashed to lay waste to all Bretonnia! When I came to write Guardians of the Forest I was in a good place, work was going well, I was fit and healthy and life was generally good. 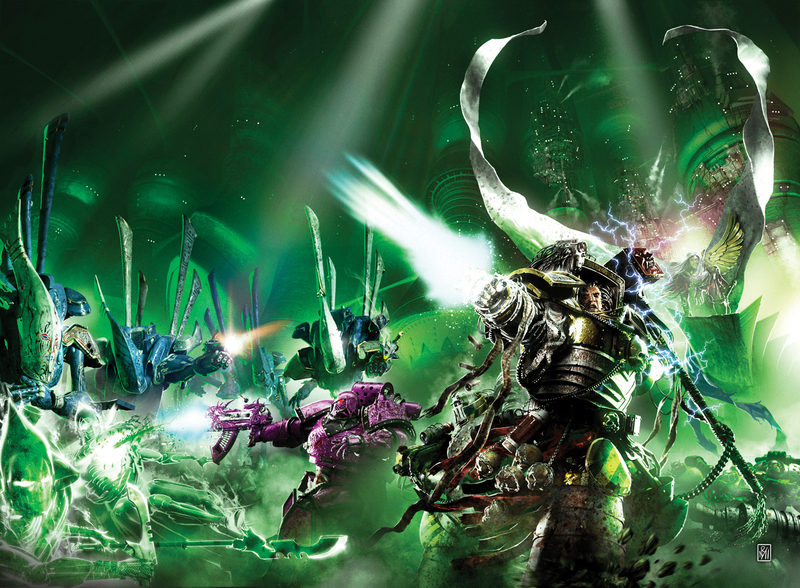 I forget what project I was working on at the time, but my good friends, Anthony Reynolds and Paul Jeacock were working on Warhammer Armies: Wood Elves at the time. Back in the day, projects were hugely collaborative efforts, with creativity and passion driving them, and this was never more evident than in the work these two were producing for Wood Elves. The writing and ideas Anthony was coming up with and the concept art Paul was doing were truly amazing. Not only that, but this was then being translated by the miniatures designers, particularly Alex Hedstrom, into wonderful miniatures (if you’re a Wood Elf fan then you’ll already know what I mean). At the time, my desk was right across from Anthony’s and I saw lots of what he and Paul were producing in the early stages of the project – all of which fired my imagination – and I knew I wanted to tell a story with these guys in it (the Wood Elves, not Ant and Paul!). I spoke at length with Ant on the nature of the Wood Elves and armed myself with lots of photocopies of Paul’s artwork before sitting down and developing the story. Right away, I knew I needed a human character in the mix, as he would be the readers’ eyes and ears, experiencing the magic and wonder of Athel Loren for us, since the elves would be pretty much used to the magic of the forest and I didn’t feel that would adequately capture the magical feeling I wanted to get across. Thus was born Leofric Carrard of Quenelles. Oh, and it’s got a bloody big dragon in it too.